"The gamification of cyber security in 2017"
Top-notch cybersecurity is an essential part of our world. Data breaches can bring a business to its knees in the blink of an eye. 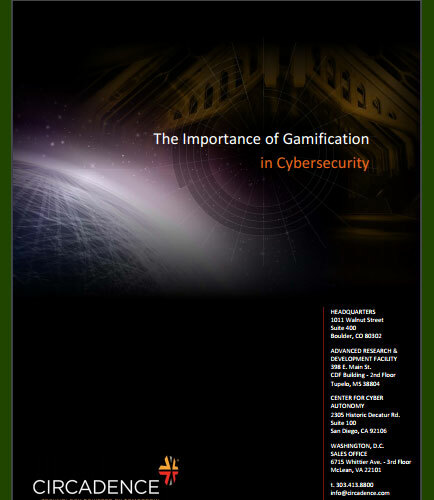 Gamification has a tremendous opportunity to revolutionize the speed, efficacy and relevancy of training in the quickly evolving landscape of the Cybersecurity sector. Cybersecurity awareness trainings are usually a boring affair, by training with gamification, you can increase awareness of corporate cyber security issues, while also making it more interesting. Gamification of cybersecurity can help businesses improve cyber security in many ways, from teaching their employees how to avoid cyber attacks to discovering vulnerabilities in software. The sense of accomplishment is one of the highest forms of satisfaction attainable, and rightly so, various solution providers have employed gamified content to keep users motivated and active. When dealing with laborious and time-consuming tasks, users often tend to get bored and uninterested. Gamification provides an effective and fun way of pursuing a said task; gamified content essentially comprises benchmarks and milestones that the users can achieve by using the applications. What is game servers ? The worldwide multiplayer gaming market is expected to be worth $1.72 trillion in the coming years according to industry experts. This, in turn, has resulted in the rise of the game server industry to sustain the exponential growth. Game server, also known as the host, is the main source of all the events that occur during the course of the game.